The Follies were in high gear when Morse met Avonne Taylor, a beautiful Follies girl. 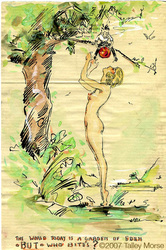 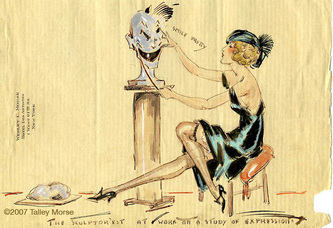 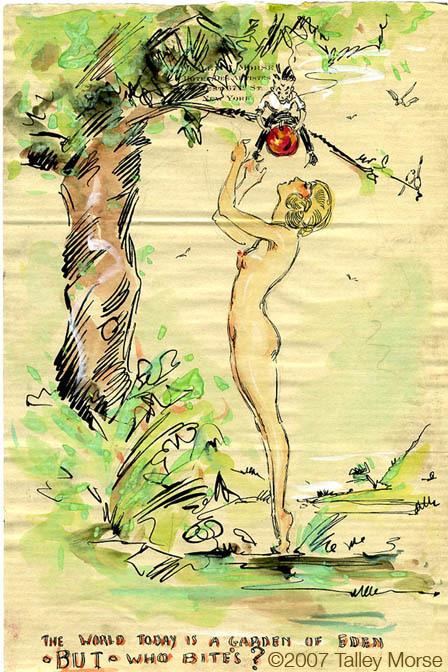 During his year-long romance with Taylor from 1922-23 he drew a series of 80 illustrations for her, all on his personal Hotel Des Artistes stationary. 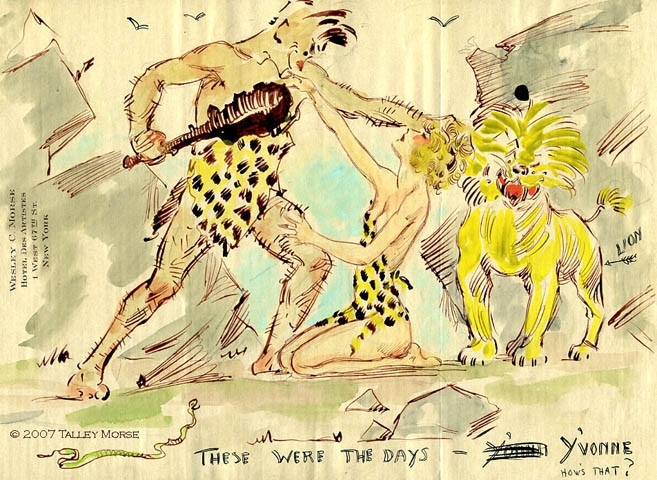 These illustrations were discovered among personal scrapbooks belonging to Taylor in a storage facility upon her death in 1992 and had been unseen for 70 years.